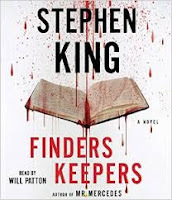 For practical reasons, I'm reluctant to start reading books in a series--not because I don't enjoy them but because they tend to commandeer my reading time, elbowing other books out of the way. 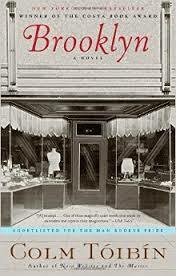 I couldn't wait to read all the Harry Potter books, and I wait for the next in Alan Bradley's Flavia DeLuce books. At least when I start reading a series as it's being written, I can keep up. When I discover a series that already includes several books, I'm already behind. Case in point: I had heard readers I respect mentioning Louise Penny's novels, but I just never knew enough to read one. Then a former colleague who knows my book tastes recommended her works. He said he had read them all. 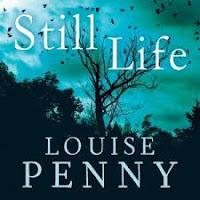 I started with Still Life, the first in Penny's Quebec Inspector Gamache novels. A murder mystery set in the small village of Three Pines, the story introduced a cast of characters in a little arts community. I know that strong characters pull me into a story, and the residents of this Canadian town are interested, vivid, and clearly drawn. Best of all, though, Penny's writing is delightful. Hers is not show-off literary prose; she just manages to put words together, to put words in her characters mouths--or heads--that I want to mull over. Since her characters care about art, poetry, books, and good food, the deft allusions are incorporated smoothly throughout the novel. I made the mistake of picking up the next novel out of sequence, skipping ahead a few books just because of library availability, to A Long Way Home. Inspector Gamache was back in Three Pines, now as a resident of the little village. The plot has him helping Clara, one of the characters from the first novel, to locate her husband, from whom she has been estranged for just over a year. Again, the art community is central, as is Myrna, the psychologist-turned-bookstore owner and the crotchety poet Ruth, this time with a pet duck. I was able to read this one out of order, but I felt like I had been out of town for a long while, returning to find that I had a lot of catching up to do. I decided to enlist my local librarians to make sure that I read the rest of the series in order. If only Inspector Gamache could solve a mystery for me: how am I going to read everything I want to read in the coming year--or years? For years now, I've kept a record of the books I read, writing the author and title on my wall calendar and then tallying just before New Years Day. When I record them, I am often surprise by the ones that have left my memory completely--and the ones that will be stuck in my head forever. I've written about many of the books here on this blog through the year, but I still have some I want to share. I may have to add annotation to the list once it's complete. While I lean toward literary fiction, my list includes a lot of poetry (and I feel certain there are other collections and chapbooks I've read that didn't get written down. I always keep a little poetry handy wherever I go.) Many of the books are written by North Carolina writers; many were written by authors I consider friends. Bill Clegg, Did You Ever Have a Family? For most of my teaching career, I attended the annual convention of the National Council of Teachers of English wherever it was held. Held the weekend before Thanksgiving, this conference felt like the teaching equivalent of a gospel tent revival, sending me home with a renewed enthusiasm for this profession I have loved. I always came home with practical ideas I could use in class the next Monday, Wednesday at the latest, and a head full of ideas. I developed friendships at these gatherings with people who shared common bonds, especially those who loved books as much as I do. Among all the practical sessions, I always made time for one guilty pleasure, a regular session called Readers Ourselves. In this session, participants talked about books we had read for pleasure, not for the classroom. We were given an index card (low-tech, eh?) to note any titles we mentioned. Michael Moore, one of the facilitators, always gathered the cards with contact information and shared the final list with everyone. He started this sharing before internet, but now the list comes via email. At another regular session High School Matters, one of the larger double sessions, roundtable discussions alternated with some keynote speakers, the rock stars of the English profession. My friend Carol Jago, one of the most voracious readers I know, always shared a list of her book recommendations. Eventually her husband started printing up book marks so participants could listen without having to write (and keep asking, “What did she say?”). I always knew I could trust Carol’s book choices. I’ve missed the conference for two or three years now, because of school budget constraints, but Carol and Michael generously share their lists anyway. I, in turn, will share them here (with the ones I've read highlighted). After all, who doesn’t need one more book list? The Sopranos, The Wire, the Shield and others. putting the humanities at the heart of education once again. Hillary’s Choice - Gail Sheehy – Shows the Clintons as good and hopeful people. It's that time of year when lots of magazines and newspapers and publishing their "Best Book of the Year" lists. Today's New York Times Books Review boasts "The 10 Best Books of the 2015." They list five works of fiction, five nonfiction. In addition, they ask Simon Winchester in "By the Book" what was the best book he'd read so far. (He named Farthest Field by Taghu Karnad, a book he calls "so hearth-stompingly beautiful [he wants] all around to read it too.") Then on the last page "Bookends," sixteen other authors answer the same question. By the end of the year, I always compile the list of books I've read, but by then, I will already have another huge list of books I want to read next. Already, I feel those unread books slipping up behind me, with a louder whoosh than "time's winged chariot." Just a week ago, in the course of a phone conversation, Shari Smith (I Am the Town) told me, I just finished reading the best book I've read in a long time. Stop reading whatever you're reading and read The Secret Wisdom of the Earth by Chris Scotton." Guess what's downloaded on my iPad now? Yep. As frustrated as I get by realizing the sheer impossibility of reading all (even most) of the books on my "to read" list, I keep adding to it. I know I've met "my people" when we start talking books and they pull out their list and jot down a few more titles. No one can accuse David Mitchell of writing the same thing over and over. 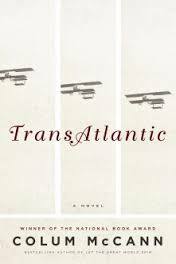 After reading The Thousand Autumns of Jacob DeZoet and then Cloud Atlas, I couldn't imagine how one writer could accomplish two such distinct but intricate novels. 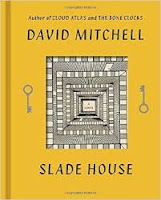 When I started Slade House, with the introduction of the first character, I felt as if I were back in the world of The Curious Incident of the Dog at Night-Time by Mark Haddon, particularly since the first protagonist (or victim) introduced was a young boy obviously somewhere on the Asberger's spectrum. Then -- just like that, the book shifted to another character, and another. Suddenly, I felt like I was reading something by Neil Gaiman--Neverwhere or Anansi Boys. 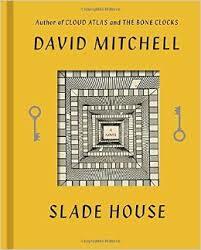 Whoever this David Mitchell might be, he had me hooked in this fantasy tale of events that occur at Slade House every nine years as twin brother and sister Nora and Jonah bend reality and lure in individuals to prolong their lives. Of the visitors to the unusual estate which improbably takes up huge space, though literally appearing between two city blocks, some are amusing, some annoying, and some quite sympathetic. Of them all, Sally Timms, visiting the house on Halloween night with her Paranormal Club from University, is the most sympathetic. I kept wanting to scream warnings. And since the world created within the walls of Slade House doesn't play by the rules, the characters who find themselves there certainly have the odds against them. Once I finished the book, I did a little reading about the other book by Mitchell I haven't read yet, The Bone Clocks, and I discover there are connections between the two works, particularly the 2015 visitor Marinus, a "horologist." Suddenly, I remembered running across the phrase "bone clocks" in the tale. In fact, the grandfather clock earned mention in each section of the tale. Now I wonder if Mitchell will stay in this world awhile or if he's ready to move on to a completely different time and place.